The ever-popular specialty of the Silver Ball Bakery! Soft, Chewy Cookies that have the flavour of nutmeg on one side and the sweetness of chocolate on the other! 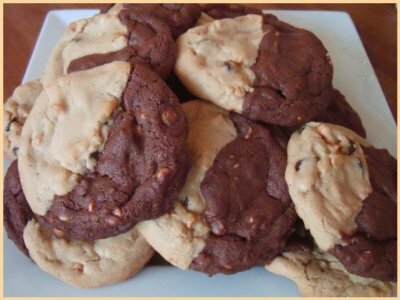 Mixed with chocolate and peanut butter chips, this cookie is a sweetness sensation that changes with every bite! Check out our Chocolate Chip cookies for a favourite classic.